The success and growth of the UK Motorsport Industry is well documented and has even been sanctified by being studied by academic institutions and business study groups. It is often portrayed as an example of how new high-tech industries can and should be encouraged to evolve in this country. Like most of these industries, their assets are as much the quality of their staff as their plant and machinery. As the companies grow and multiply, the flow of new, well-qualified staff into the industry is essential to their continued success. It is to the universities that they turn for engineers, and the resulting competition for the best graduates is intense. For some reason the government of the UK decided to blur the distinction between the traditional universities, and the technical colleges and polytechnics, labelling the lot as universities. However, whatever the label, the distinction remains. While the technical colleges and polytechnics take people at the end of their school education, following A-level, and train them in the knowledge and skills necessary to carry out their chosen career, the traditional universities continue with education, endowing graduates with knowledge and understanding in their chosen subject. Both are necessary in motor sport. Technicians and engineers working on sophisticated racing cars from Formula1 downwards, need the ability to understand the technologies involved – electronics, computer sciences, materials, control systems, aerodynamics etc. Designers must be computer literate and able to use the latest CAD, CAM and CAE software. The new universities have become aware that there is a need for engineers versed in the motorsport technologies and are designing courses specifically for the motorsport industry, based on existing automotive engineering courses. However, the fierce competitive nature of motor sport means that the key technologies -aerodynamics, composite structures, engine combustion and tribology, measurement and control, and electronics and computer sciences – are being pushed ever harder. The minimum qualification for an R&D job at the forefront of one of these technologies is a PhD. With many of these technologies coming out of the aerospace industry, it is not surprising that the physics and engineering departments of the traditional universities, many of which were set up to provide graduates for the British Aerospace Industry, have become the prime source of the top quality engineers that motorsport needs. Of these, the Department of Aeronautics at the Imperial College of Science, Technology and Medicine has been the most successful in providing the type and quality of research engineers required by motorsport, and Formula1 in particular. Dr Garry Elfstrom Manager of wind tunnel design and build, Aiolis Eng. Corp.
Darren Davies 1988 ex-Reynard; now Jaguar F1. Among the undergraduates, and postgraduates doing PhD’s currently within the Department, there are a number who have definite intentions of pursuing a career in motor sport, preferably Formula1, so the pipeline is well primed. The involvement of the Departments of Aeronautics in automobiles, goes back to the early 1960’s, when John Stollery carried out consultancy for Donald Campbell’s Land and Water World Speed Records attempts. Stollery carried out wind tunnel tests on both Bluebirds, in the fixed ground plane, 5ftx4ft wind tunnel. The tests predicted the aerodynamic pitch instability that both vehicles suffered from, though the warnings were not adequately taken into account. Stollery went on to develop a moving ground plane for seaplane research in the tunnel, which was later re-named the Donald Campbell wind tunnel. In 1969 he co-authored a paper on “Forces on bodies in the presence of the ground”, which perfectly described ground effect. In 1966, John Harvey, a lecturer and hypersonic researcher in the department, met Sir Alfred Owen, the owner of BRM, and was asked to assist with solving some cooling problems on the BRM. He performed pressure measurements on the car, storing them on tape (one of the first applications of modern data acquisition techniques in motorsport), and became BRM’s aerodynamic consultant. I met him at BRM in 1967, and we started a programme of wind tunnel testing the Formula1 cars. John Harvey teamed up with another lecturer and low-speed aerodynamic researcher in the department, Peter Bearman, to provide consultancy within motor racing. They worked with Tony Southgate at BRM, Shadow and Arrows and then with Williams. In the early 70’s, one of Harvey’s PhD students, John Fackrell, carried out basic research into the flow around a rotating wheel in contact with the ground as his thesis. The research was funded by Dunlop and has remained the definitive work on the subject, published by Fackrell and Harvey in 1973. Fackrell subsequently pursued a career outside the automobile industry. Team Lotus used the moving ground, Donald Campbell tunnel to develop the pioneering ground effect T78 and T79 cars in the mid-late 70’s. Frank Irving, the gliding technical guru, provided consultancy as Harvey and Bearman were committed elsewhere. 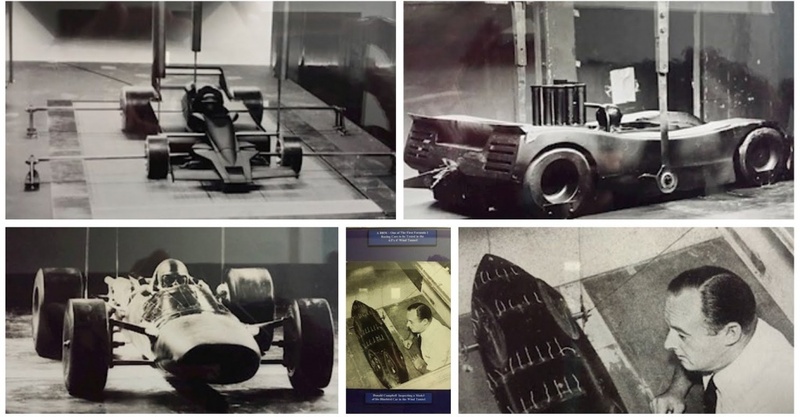 In 1985, Harvey and Bearman secured a contract to design and build a new wind tunnel in the department, suitable for testing 40% models of cars. The tunnel was funded by Honda, and was fitted with a moving ground plane, and the facility to yaw the model. Lotus used the tunnel extensively during the period they used Honda engines. By the mid-80’s, most of the fundamentals of single-seater racecar aerodynamics had emerged from the Imperial College’s Department of Aeronautics: moving ground plane, ground effect, rotating wheel flow, and suitable wind tunnel design appropriate to racecar model testing. In working with Formula1 teams, key personnel in the department met organisations that wanted accurate answers to aerodynamic questions, and who wanted them fast. Because they were equipped and able to provide the answers, the relationships thrived and the reputation of the department spread. John Harvey is now Professor of Gas Dynamics – he is a world expert on the design of hypersonic “shock-tunnels”, used for research at Mach15 and above – and Peter Bearman is Professor of Experimental Aerodynamics and a Pro-Rector of the College. They consult on wind tunnel design, often being called in to sort out flow problems on other people’s designs. They have been involved in the Swift, Ferrari, McLaren (British Maritime Technology), Sauber, Lola, Arrows (DERA, Bedford), and Jordan (ex March) tunnels, and had just completed the design for Honda’s new tunnel, when Honda pulled back from creating their own team. Such an environment has inevitably attracted both students interested in motor racing, and inspired others who were initially only interested in aerodynamics, to take up a career in motor racing. It also attracts racing teams to come in search of the answers they need and to seek out the best students to join them in finding their own solutions. Another Imperial College PhD, Mark Handford, has made his name with the design of the Swift Champcar, and the Handford wings used by CART to limit speeds on the ovals. He is now at Lola International, but had no particular interest in motor racing while at university. “I did my first degree at Southampton University. I was fascinated by airplanes and wanted to be an airline pilot. However, I was too big for either the airlines or the RAF, and my professor kept on about going to do a PhD at the Imperial College. At the time I did not realise the potential leads into motor sport. The teams who used the tunnels were very secretive and I only stumbled on them by chance. 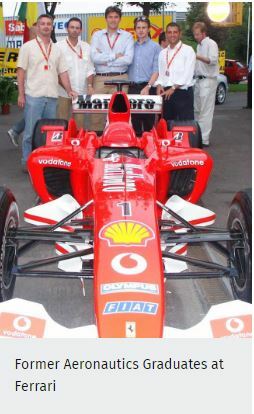 I met Ross Brawn, who was with Force at the time, and that meeting set me thinking. John Harvey and Peter Bearman are heading towards official retirement, though they are unlikely to halt their involvement with motorsport. The British Motorsport Industry needs institutions, such as the Imperial College, to round off the education of engineers who will go on to work in the organisations where original research is carried out. 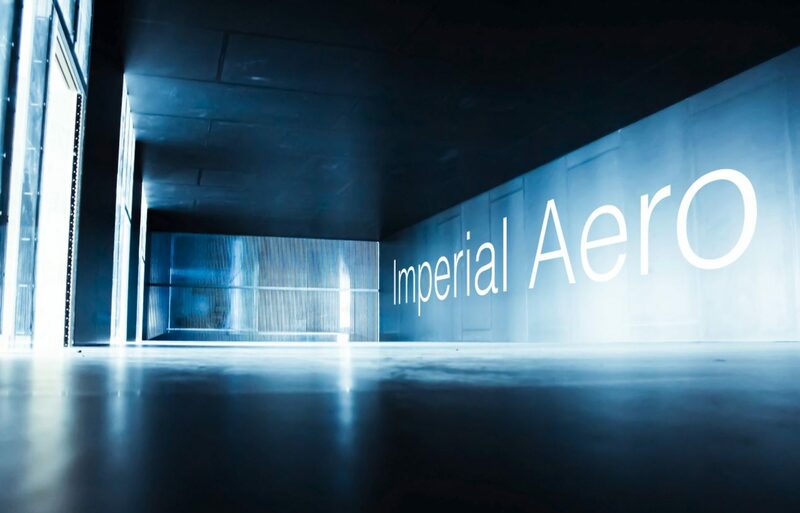 The Department of Aeronautics at the Imperial College has played a major role for over 30 years, imbuing students with a background in aerodynamic fundamentals, good experimental techniques and a strong understanding of CFD, and will probably do so in the future. Maybe one or two of those who passed through the department will hanker after the relative calm of an academic institution after years of relentless Formula1 pressure, and return to carry forward that reputation.